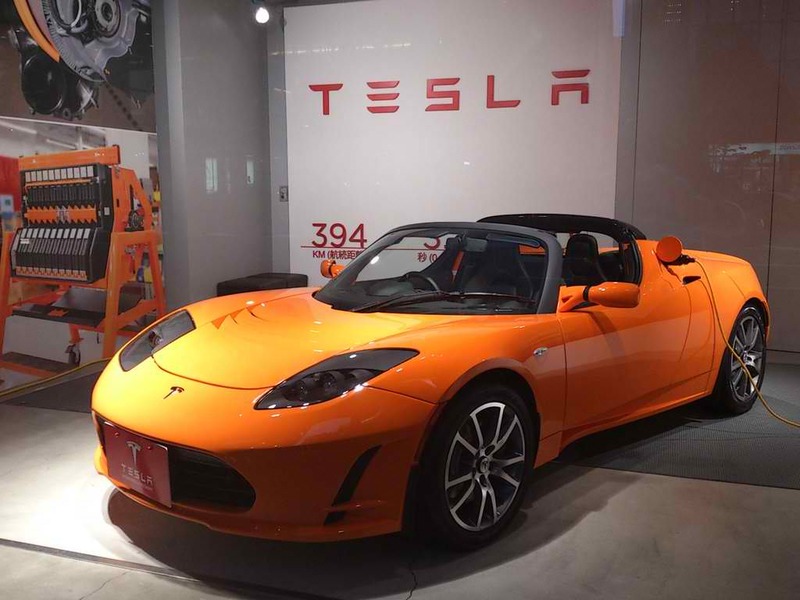 Despite all of the successes and milestones Tesla Motors Inc (NASDAQ: TSLA) has achieved, there still remains one problem for the electric car marker to conquer. That is the issue of energy density. Basically, energy density is defined as the amount of potential energy in a fuel source or energy source. It is Tesla’s crippling weakness right now. Tesla vehicles currently use modern rechargeable lithium ion batteries. These batteries have an energy density between 0.9 megajoules and 2.63 megajoules per kilogram. This means that for each kilogram of energy in a lithium battery, it is capable of storing the equivalent of 0.252 to 0.736 hours of electricity in kilowatts. Gasoline, in contrast, has an energy density of 34.2 megajoules per liter, which is equal to 9.57 kilowatts hours of electricity. What this means is that gasoline’s energy density is nine times that of rechargeable lithium battery. This is why a car that runs on gasoline fuel is able to run much further on a tank of gas that a Tesla can go on a charge of electricity. There is no place in the commercial vehicle market for the electric auto maker precisely because of lack of energy density. Commercial vehicles would be forced to carry hundreds of pounds of lithium batteries to be able to go the same distance it could go on a tank of gasoline or diesel. It is this extra weight that prevents Tesla’s electric vehicles from entering the commercial vehicle business. Specifically, companies like the United States Parcel Service (NASDAQ: UPS) will not be investing in electric vans anytime in the near future. An electric van would carry far fewer packages than a van that runs on gasoline. However, the company is using alternative fuel choices, including propane and liquefied natural gas (also known as LNG). LNG has an energy density of 22.2 megajoules in a liter, or 6.2 kilowatt hours of electricity. A liter of propane has 25.3 as its energy density, which is equal to 7 kilowatt hours of electricity. Though these gases are not as energy dense as diesel, they are several times more energy dense than lithium ion batteries. For the sake of comparison, diesel fuel’s energy density is 37 megajoules, or 10.36 kilowatts of electricity. Tesla faces major competition from Toyota Motor (NYSE: TM) and Honda Motor Company (NYSE: HMC), both of which will begin marketing fuel cell vehicles in California and overseas in Japan next year. The most recent fuel cell vehicles operate on compressed hydrogen, a gas that has an energy density of 5.6 megajoules a liter, which is the same as 1.57 kilowatts of energy. In other words, fuel cell vehicles have the same, perhaps a slightly greater, energy density of Tesla’s electric car. The key point about fuel cell vehicles is that they emit no pollution. These cars use a chemical reaction, rather than an engine, to make electricity. Instead of smog, this reaction releases heat and water vapor. How could Tesla ever hope to compete with a vehicle that runs on a more energy dense fuel than an electric car does? To add to the challenge, Toyota and Honda have the funds to spend on developing fuel cell vehicles – much more than Tesla can afford to spend on improving its lithium ion technology. Last quarter, Toyota reported $1.82 billion in free cash flow. That figure is almost as large as Tesla’s current revenue. Toyota’s TTM revenue is $256.26 billion, which is over 100 times Tesla’s revenue. Honda’s revenue was $118.09 billion last quarter, with a negative cash flow of $1.9 billion. Both companies have enough funds available so that it can afford to invest in fuel cell technology without taking any significant financial risks. Tesla clearly still has much to work on to be able to overcome the challenges ahead of it. When considering its energy density issues and its financial challenges, it’s not unlikely that Tesla shareholders will want out of the company. I hate to be the reality check, but your entire basis of the story is completely false. Commercial usage of electric vehicles is already in widespread use around the globe. Check again, and rewrite your story. Energy density is not the problem, battery cost is. Tesla is addressing the cost by building the Gigafactory which it hopes will reduce battery costs by 30%. The cells they’re using in their battery packs have good density but as you said they’re less dense in energy than gas. An induction motor is about 3x efficient than an ICE. Effectively, that makes the usable energy density of the fuels mentioned around 10 or less, which means they’re effectively only 3x as potent as a more efficient lithium-ion technology energy source. That being said, energy density isn’t really a problem when you still have sufficient energy storage to cover the vast majority of daily driving. Commercial sales are a drop in the bucket compared to consumer sales. Think about the last time you saw a fleet buying from Toyota, Honda, or Hyundai. They’ve done pretty well with practically zero commercial sales, as will Tesla. While I agree that energy density in gasoline is higher, you’re really making a volumetric assertion that should be looked at another way. In a Model S, the volume of the battery + electric drivetrain (essentially a motor the size of a watermelon), is less than the volume of a comparably sized ICE cars’ engine + transmission + gas tank + rear differential + exhaust system + fuel system + radiator + all the other ICE specific gizmos. The proof of this is that a Model S has MUCH more usable space (63.3 cu ft) than a comparably sized ICE sedan. So with a Model S, every morning I have a full “tank” ready to take me 250 miles. Your energy density argument is irrelevant. Think about it every time you’re at a gas station. I think about it every time I PASS a gas station!! is equal to 2 sticks of TNT and you vehicle may have 10-20 gallons. Maybe you want a Nuclear car? The pollution from a gas engine can kill you with it’s carbon monoxide. A gallon of gas weighs 9 lbs and makes 20 lbs of pollution by combining with good clean oxygen. Where does the H2 hydrogen come from? How much does it cost? How many PSI of pressure is in your tank? wins in the end or even the beginning? Yes, it’s quite well known that batteries are the limiting factor of the EV market right now. That is also why there are a lot of research going on to figure out how to increase the energy density of batteries. Tesla doesn’t have the production capacity to enter the commercial vehicle market, that is why they don’t. The demand already far outpace the production for the existing model and when model X is released this will probably increase. However, there are other manufacturers of light commercial vehicles, both Nissan and Renault for example. Except they already do, and so do their competitors. Hydrogen fuel cell is dead in the water. Sure, it doesn’t produce any pollution at the point where it’s used but what about the other end? It takes enormous amounts of energy to produce the hydrogen gas, usually from fossil fuels. Hydrogen is just a way for the oil companies to hide themselves from public scrutiny. Hydrogen is inherently the lowest density fuel imaginable. If you don’t believe me, look on a Periodic Table. Has anyone else noticed (certainly not the author) that Fuel Cell Vehicles are actually electric cars that have a hydrogen-powered charging stations built in? Nobody runs a fuel cell directly to the drive motors. Since we have 25 years to wait for hydrogen fueling stations to be common, a big improvement to FCVs is to simply make their existing batteries slightly larger and throw out the fuel cell and hydrogen storage. Then you could use a fuel that is already distributed to basically every location in the United States: electricity. This article takes something like energy density and argues that the lack of it leaves battery electric vehicles wanting. This is the same faulty logic that the solar panel industry has run into for decades. For example, if I can put a number of solar panels on my house and either create more energy than my electric bill, or store excess energy in batteries for non-solar hour use, does it really matter if a solar panel is less efficient than an internal combustion engine? To take this logic and flip it on its head, since the energy of the sun far exceeds the energy every last ounce of gasoline we could produce from the earth’s stores, aren’t ICE vehicles less practical than electric vehicles? Taking a thing like energy density or total potential energy and making an argument about the practicality or viability of a tool/personal transportation is worthless. Rather, we need to know if a tool can do the job. Whether it is less or more energy dense is really meaningless when the tool in question gets the job done, at 50-75% less cost (75-$1 of electricity gets you as far as $3.50-$4 of gasoline. And produces zero emissions in the process of conveying its passengers (and for those of you who want to argue electricity still comes from fossil fuel in many places, I will agree, if you agree that electricity, water, and chemicals are used to produce oil/gas even before we get to burn in in our vehicles). A recent study showed a majority of Chevy Volt owners commute to work without using any gas, and the range of a Chevy Volt running on only battery power is 40 miles. Does it really matter how the energy density of those batteries compare to gasoline if they get the job done, and convey people to and from work without a drop of gas? On top of that, battery chemistry and internal engineering is on track to increase the energy density of batteries to go 2-3 times as long, and increase the life of batteries 2-3 times. Lithium anodes fabricated out of carbon lattice and coated with lithium is just one such approach to be applied in the near future. Still, even my making the argument that batteries are going to get better adds credence to this article’s argument that energy density is Tesla’s achilles heal. It isn’t. Tesla’s vehicles are innovative, game changers. As such, they go faster, further, and are more safe than internal combustion engine vehicles. Tesla has captured 10% of the high-end luxury car market, it on target to match BMWs yearly sales, and it will be bringing its third model, an SUV to market in the very near future. Tesla has a backlog of orders, it doesn’t even try to convince people to buy their vehicles because they already have too much business. People want a Tesla, because it is a great vehicle, worth every penny, and because it is a game changer. If you want to talk about energy density, perhaps you should ask if we really need the energy density of gasoline, and the loss of approximately 75% of that energy through the inefficiencies of the ICE. Having 9 times the energy density sounds impressive, until you realize you are throwing away 6-7 of the 9 times. Batteries are in everything, electronics, power tools, and cars, they are in every industry, and without them we would not have portable communications, portable computing, portable power tools, or electric vehicles (fork lifts, golf carts, passenger vehicles). Renewable energy by way of solar, wind, hydro, tidal/wave can provide a steady stream of energy that exceeds our needs. We just have to see reality for what it is, and stop wasting time discussing the practicality of a technology based on the merits of meaningless metrics like energy density when current engineering and everyday use has confirmed the metric is a non-starter. Ms Zhang’s second paragraph explains why no-one should listen to a word she says.